The digital age has brought about many changes in our daily lives. One of the most notable of these changes is the ability to connect, whether for work or fun. The number of remote workers is continually rising, as is the need for remote management tools and techniques. If you’re thinking about hiring a remote team, this primer is for you to get acquainted with some of the more common questions and best practices of virtual work. Managers who work with remote teams understand how working remotely is both a blessing and a curse. Managing remote teams from all over the world and juggling time zones can be exhausting, but there is a solution to every problem. 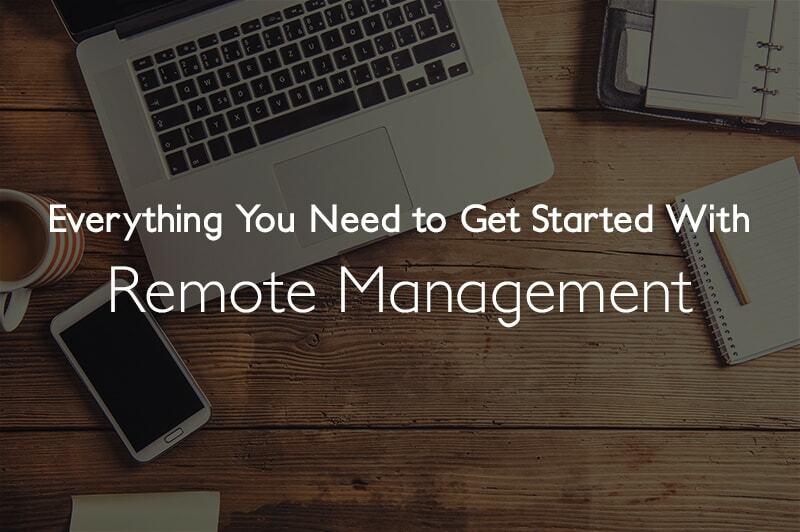 This post will go over some of those solutions and how you can use them to make remote management simple. Many companies around the world are beginning to discover remote working as a viable option. It wasn’t that long ago when remote work was regarded with skepticism. It was considered absurd to entrust your time and confidential information to a stranger from another continent. Nowadays, it’s just common practice. Both employees and managers used to have concerns about remote working. These concerns revolved around security; employers wanted to know they were hiring a competent and reliable worker and employees wanted to know they were working with a trustworthy employer. The convenient, ingenious solution to this problem came in the form of third-party websites that act as a safety net. Platforms such as Freelancer.com or Hubstaff staffing operate as an intermediary between both parties, allowing them to find the perfect fit for their needs. The thing that first got employers and companies interested in remote work was cost-effectiveness both financially and for the environment, which remains as a benefit to distributed team managers and team members today. When you work remotely, you save time and money on daily commutes, office space and overhead. Employers also save time when hiring, as many freelancers only need a project briefing before they can hit the ground running. In a traditional office environment, new hires would have to go through orientation and training period before getting started with any work. Remote working offers you the chance to work with talented people from all around the globe. Don’t be too quick to dismiss applicants and avoid the temptation of only hiring freelancers who live nearby. Set up as many Skype interviews as you can. A conversation is a much more insightful source of information than portfolios. Establishing good team dynamics and communication is crucial with distributed teams. It differs highly from office culture in the traditional sense. After finding remote workers with the appropriate skills, you have to make sure they function well in your distributed team. When everyone on your team is virtual, management and collaboration gets a little harder, although not impossible. Use tools and software to gain insight into how your employees interact with each other. You need to pay close attention to each member of your team, as well as your team as a whole. When executed well, remote team collaboration could even be more efficient than in an office. The workflow is subject to constant changes. Even when things are going pretty smoothly, don’t take it for granted. There’s a reason why one of the main purposes of remote working is flexibility – the dynamic nature of the work demands it. You must also be alert at all times with remote management. Observe your team and the work they do, so that you can react in a timely manner when something calls for a change. A great way to manage your systems is to ask your contractors to document their processes. That way, your business will have written records of the workflows for different roles, which are useful when training new team members. Finally, many remote workers choose the lifestyle just as much as the job, meaning they value freedom and independence in their work. Keep in mind the freedom of your remote team is a valuable work perk that shouldn’t be abused. Learn more about how we manage our remote teams at Hubstaff in our free eBook, the “No Excuses” Definitive Guide to Building a Remote Team. Hubstaff was founded in 2012 by two entrepreneurs from Indiana. In fact, the whole idea behind Hubstaff came from its founders’ needs. Hubstaff was created by people who have years of experience leading distributed teams and virtual startups, so they are familiar with the challenges of remote team management. After you’ve found all the right members for your team (we can help you with that too, check out ‘Hubstaff Staffing’ below), Hubstaff provides a comprehensive solution to managing your employees and their work. 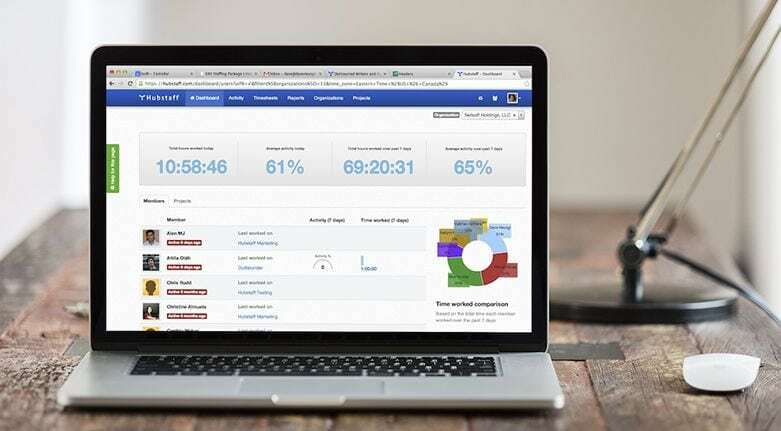 The Hubstaff software boosts remote work management with intuitive time tracking capabilities, proof of work features, and automatic payments and payroll. As a cross-platform software solution, Hubstaff can run on any of the most popular operating systems. It doesn’t matter if you and your team members use Windows, Linux or Mac operating systems. Hubstaff can also adapt to your existing workflow solutions. Hubstaff integrates with multiple project management tools in just a few clicks. At Hubstaff, we use our software for a simple, automated contractor payment system that helps us save $32,400 for our bottom line. 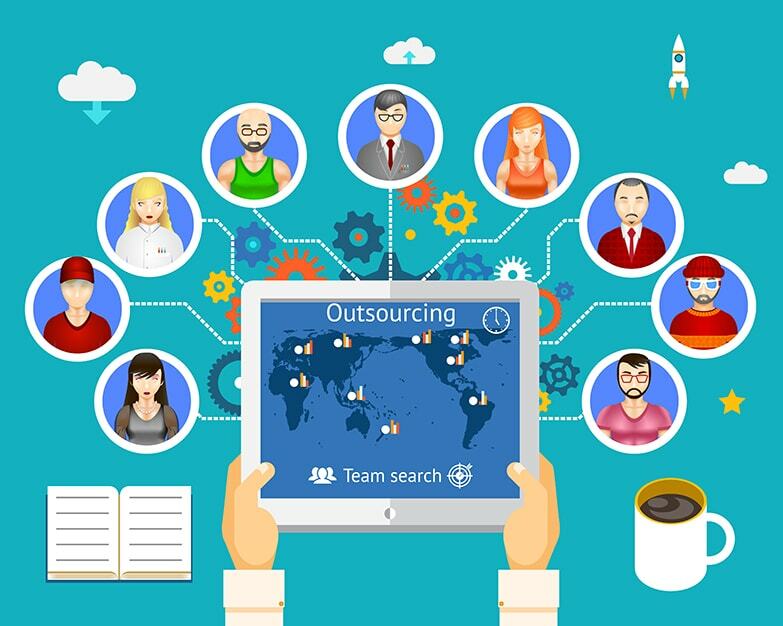 Every remote team manager knows how much time and effort go into finding a qualified freelancer, even before any actual work starts. Managers have to go through a list of applicants, reach out to any potential hires and schedule interviews with each one. The process is exhausting, and ideally you would be focusing on business strategy and core tactics instead of spending time interviewing applicants. Hubstaff Staffing takes care of finding those ideal remote workers for you. The service partners with well-respected firms and freelancers, testing each freelancer and only keeping the highly effective workers who have proven results. All you have to do is describe the job and Hubstaff will hand-select the best candidates for you. After interviewing them, you can begin work immediately. Working remotely can be as complicated as it can be rewarding. Building a remote team that works well together is a complicated process right from the start. Hubstaff can assist you in finding remote workers that will make sure all your needs are met. Remote management can be a challenge for even the most experienced distributed teams, but Hubstaff software and its sophisticated features for project and employee management make remote work easier than ever before. Do you already have experience hiring and managing remote teams? If not, tell us what stops you from hiring your first contractor? If you are already working within a remote team, let us know what were the biggest hurdles you had to overcome to get started. Share your thoughts in the comments below!